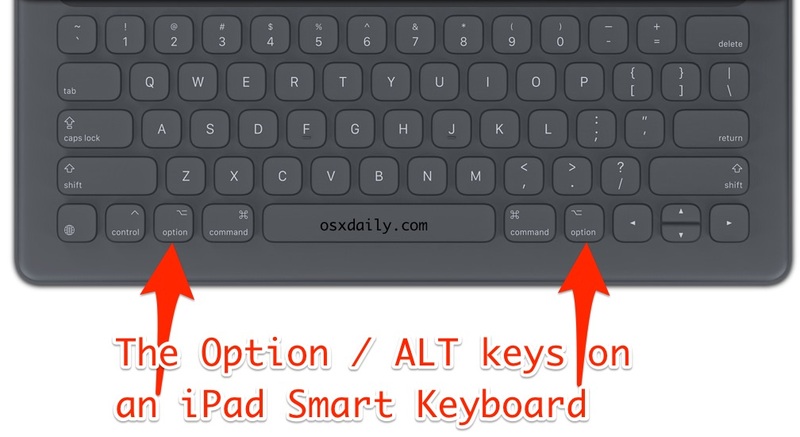 Using the Option key is an essential part of the Apple keyboard experience for issuing many keystrokes, accessing various hidden features, and a myriad of other functions on both Mac OS X and iOS. All Mac and Apple keyboards have the Option key, it’s just not always labeled as such, which is what offers confusion from time to time. It turns out that certain Apple keyboard layouts have the option key labeled as either a symbol, or as the alt key. This often differs per region and per keyboard, and sometimes even on the age of the hardware itself, but regardless of how they look, every Apple and Mac keyboard includes the option and alt key, including any MacBook, Apple external keyboard, Smart Keyboard for iPad, or other hardware keyboards from Apple. 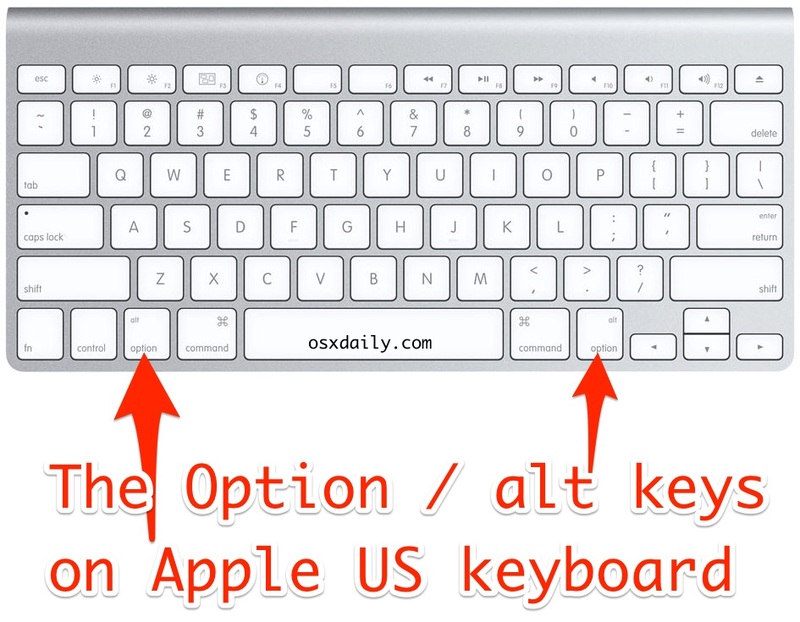 Below is where you can find the OPTION / ALT key on the major Apple keyboards you are likely to encounter. And yes, in case it wasn’t evident; the OPTION key is the ALT key, which is also represented by the funny looking symbol ⌥ on Apple and Mac keyboards. 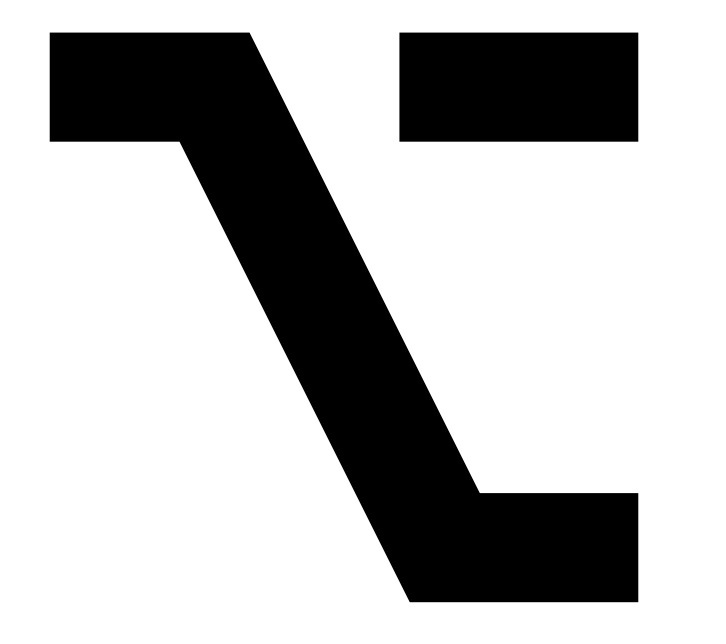 This is what the option and alt key symbol looks like, it’s kind of like a backslash with a flag coming off of it. It’s admittedly not very obvious, which is perhaps why Apple has been spelling out alt / option on modern keyboards for many markets. The lack of a clearly (and consistently) labeled ‘option’ key puzzled a friend of mine recently who bought a MacBook Pro with a European keyboard layout, and that had a Japanese external Mac keyboard included. Of course those keyboards work with other languages too, but the keys can be labeled differently. 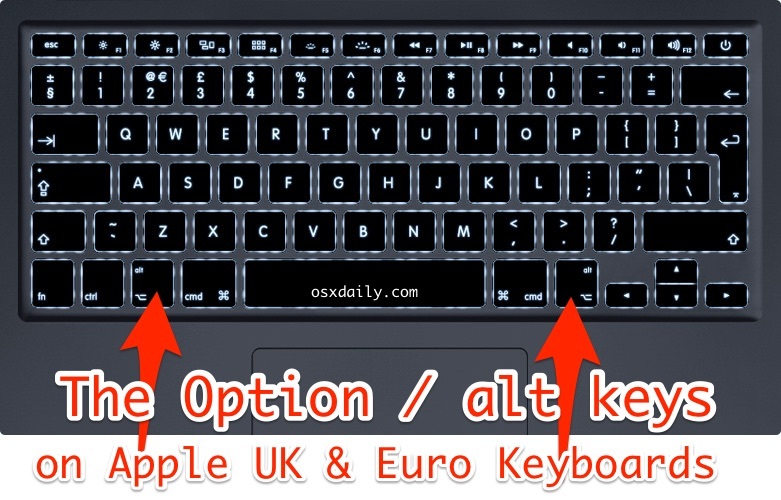 In those situations, the Option key is labeled as ALT and the strange looking symbol, it is not clearly labeled as ‘option’ as it is on modern Mac keyboards from the US and many other countries. This isn’t totally unusual however, as long time Mac and Apple users will undoubtedly recall that earlier versions of the Apple Keyboard also didn’t label the alt or option key, and simply used the symbol instead, and on some Mac keyboards symbols were used exclusively. I never understood why Apple doesn’t have consistency in their keyboards. I have a new Mac keyboard which labels it option and alt. I have an older Mac keyboard that labels it as the symbol and option. It’s different around the world? Come on, unnecessary. 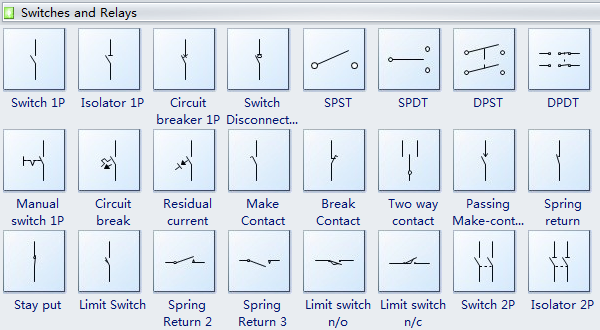 Not to be argumentative, but I think the origin of the Option symbol is more closely related to the electrical engineering symbols for switches, as seen below there are many similar, than a railroad. 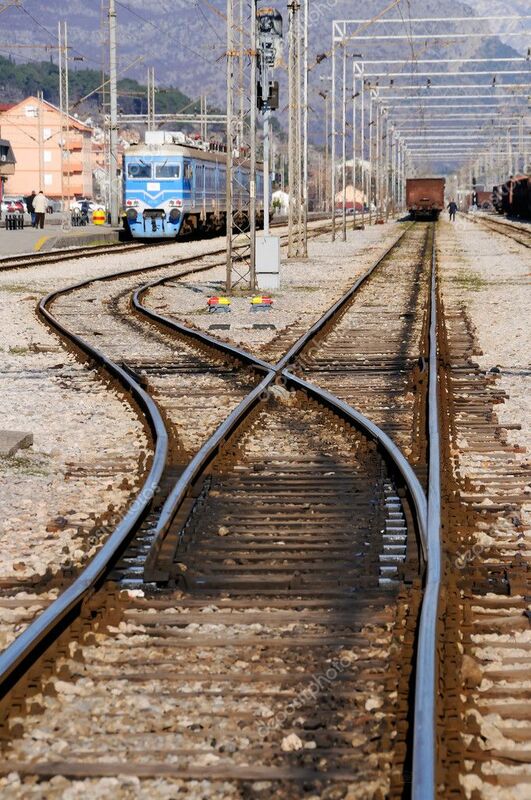 And there are other logic symbols which might be closer to an origin than railroads, though that’s a clever connection that I’d never thought of. All of these modifier keys only to save a few extra dedicated keys on the keyboard. Shift wasn’t enough, added Control. Control wasn’t enough, added Alt/Option. Alt/Option wasn’t enough, added Command. Command wasn’t enough added Function. And all of that when we have graphical user and touch interfaces, voice recognition, and powerful task-oriented code. We are not making as much progress as we should. I never understood why Apple put Alt on the Option keys. Why not have these keys labeled with the word Option and the Option symbol? My key has “option” and then “alt” in tinier letters in one corner. I think the “alt” is useful because that the label on Windows computers and instructions on webpages often only address Windows users. If you look back far enough through Apple’s keyboard layouts, you will come to the early ones that had two different apple symbols for labels, they were called the ‘open apple’ and ‘closed apple’ keys — the open apple key looked like it had a bite taken out of it. These were later renamed as the command and option keys. The alt label was added to accomodate folks switching from Microsoft’s os who were used to using the cntrl-alt-delete key sequence to escape the then famous blue screen of death. They probably don’t use “Option” everywhere because this is an English word. What gets annoying is when you plug in a Windows/PC keyboard, then option and command get reversed. I always remap these keys in this case.